Helping to build Uber’s Middle Eastern office from the ground up gave Carl Madi, WG’17, a firsthand look at how a successful startup takes off. Wharton’s MBA Program allowed him to understand the business decisions behind it. 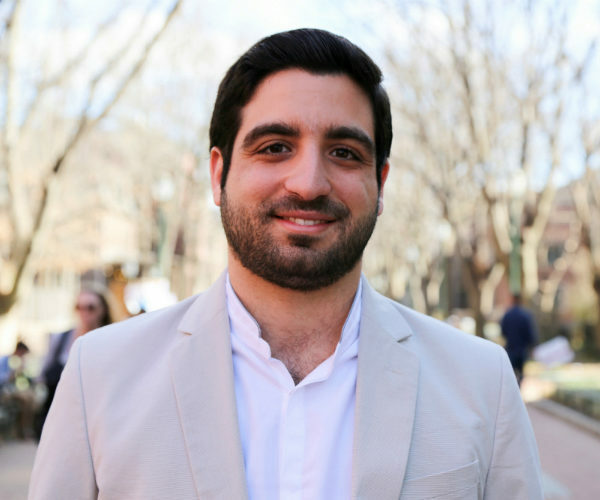 Three years into a promising consulting career in the United Arab Emirates, Carl Madi, WG’17, received an unexpected offer to work for a San Francisco-based startup opening a new office in the Middle East. After taking the U.S. transportation industry by storm, Uber was ready to go global with its ride-sharing empire. It hadn’t gained widespread recognition internationally yet. “My mom said, ‘Carl, please do not go to work for a taxi cab company,’” he recalled, with a laugh. But Carl took the offer. He started as the second employee in the fledgling company’s Dubai office in 2013. “I had a good feeling about it. I was adventurous, and I wanted to try something new. It seems funny but I didn’t care that much about the salary or security. I cared more about the adventure and experience,” he said. When Carl first started, his duties included setting up the company for success. This meant doing minute tasks, such as ordering desks for the office and onboarding drivers. “Little by little my job started to become more scalable,” he said. He moved from hiring drivers to hiring his staff and teaching them how to run the office to developing company policy plans. With his help, the company had grown from 0 drivers in the Middle East to 3,000. With Uber up and running in the Middle East, Carl relocated to the Amsterdam office in January 2015. There he worked on improving and managing the company on a global scale outside the United States. Carl watched the company become a household name across the globe — and then he decided he was ready to start another new chapter in his life. He left Uber for a seat in the Wharton 2017 MBA class. Building Uber’s Middle Eastern office from scratch gave Carl valuable entrepreneurship experience to reflect on in his MBA classes. “As a person launching a new thing in a new space, you do lots of things wrong. And coming into the MBA program, you start learning why you did some things wrong and what would be the best way to improve them,” Carl said. One of Carl’s goals for life after Wharton was to join an early-stage startup in a global or leadership role to increase his exposure to global management. That’s exactly what he did. After graduating last May, Carl joined a small startup in New York City called Amino Apps, a company that creates mobile apps for interest-based communities that allow people to connect with others who are interested in the same books, games, lifestyles, or movies. The startup reached out to him after one of their investors received the resume book from Wharton’s Career Management team. He is now the general manager for new and emerging markets, where he leads international expansion efforts for the company in markets such as Europe and Asia. Carl dove right in at Wharton, joining different organizations and clubs. He was director of career development in the Wharton Technology Club and co-president of a club that hits close to home. “The Middle East and North Africa Club is something I hold close to my heart. I’m very proud of where I come from, of all the people from the Middle East, of the things they have accomplished and survived. I felt in the U.S. the perception of the Middle East is not the right perception. We come from a place full of culture, tradition, and respect. I had a mission to give that image to the Wharton community and U.S.,” he said. The club focuses on raising awareness and was one of the most active participants in MBA International Week 2016 last year. They sponsored many events, which included bringing a professor to discuss the conflict in the Middle East, hosting a cooking class, movie showings, and a masquerade ball. Carl also spearheaded the Wharton Trek to Jordan and Lebanon, a program in which 49 Wharton MBA students explored his home country and Jordan. He felt humbled, for so many of his Wharton peers to dedicate their time and resources to travel to his home region despite the frequent misconceptions about the Middle East. “These people came all the way from the U.S. to a new country about which they have only heard negative things. They had taken that leap and that curiosity, time, effort, and money to see and experience and having their minds shifted is very humbling because it’s nice that they care, that they’re interested,” said Carl.